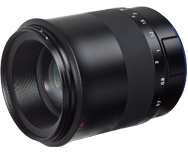 Although you would be forgiven for thinking all the lenses in the Milvus range from Zeiss are new from the ground up, this is not the case. Several of the models use the optical designs from the now-renamed Classic range and have been re-shelled. The Milvus 2/100M is one of those. It has the same 9-element design and high-speed f/2.0 maximum aperture as its predecessor, but it adopts upgraded T* coatings and a modern-shaped, anodized outer barrel with matching hood, reminiscent of the Otus models. In the third and final installment of our Best Lenses for the Canon EOS 5DS R review, we’re taking a closer look at results for wide-angle and macro lenses. For wide-angles, we’ve sub-divided the lenses into ultra-wide-angle primes between 14 and18mm, standard wide-angle primes between 20 and 28mm, and wide-angle zoom lenses that cover all of those focal lengths and more. To wrap things up for this series, our Macro section considers close-focus prime lenses with focal lengths between 90 and 180mm.